Protests have been planned at fuel depots around Wallonia this Saturday, as a citizens' movement in France over rising prices has spread to southern Belgium. 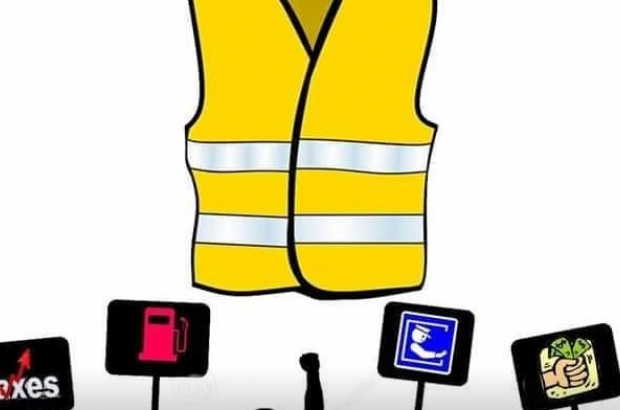 The gilets jaunes (yellow vests) campaign has grown through social media. Drivers are encouraged to place their fluorescent safety jacket on their dashboard to protest about the soaring cost of fuel. Blockades are planned at several depots arond Wallonia. A day earlier than planned, 70 people prevented trucks entering and leaving a Total plant in Wandre, Liège province, and other protests were reported in Feluy, near Charleroi, and Wierde, near Namur. One of the protestors told RTL: "We are apolitical citizens, we do not represent any trade union. We are not here to break or burn anything - we are just here to express our discontent." The movement's spokesman, Tony Deloyer, said the price of fuel "was just a trigger" - and the protest has become a broader campaign against the cost of living and government austerity measures. Belgium has the fourth highest level of fuel taxation in Europe. Excise duties and VAT account for 55.5% of the price drivers pay at the pump. 55.5%, wow, that's incredible ! British drivers pay a higher rate of tax on fuel than any other motorists in the European Union.For every litre of unleaded petrol bought in the UK, 61 per cent of the pump price goes to the government as fuel duty and VAT along with 59 per cent of every litre of diesel.